This Mother’s Day don’t overthink finding the perfect gift for the special Mama(s) in your life. The writers of MamatheFox have done the thinking for you. Whether you are looking for something utilitarian or sentimental, we have your covered! 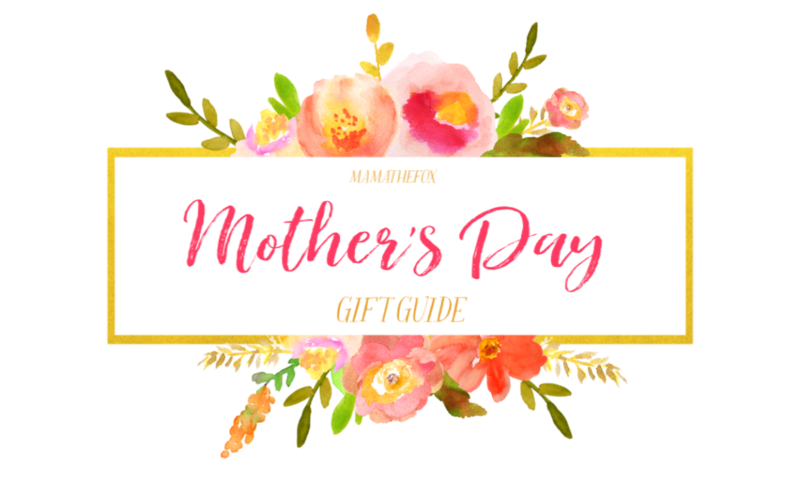 Our 2019 Mother’s Day Gift Guide is featuring gifts for new & experienced mamas, grandmothers, aunts, adoptive mamas, and even moms at heart! Enjoy shopping by clicking through each link to purchase…or drop a hint to your family by leaving your browser up on MamatheFox! OXO Tot delivers some of the most innovative and simple solutions to life with kids. The OXO Tot space saving drying rack is perfect for any kitchen, but especially ideal for small spaces. 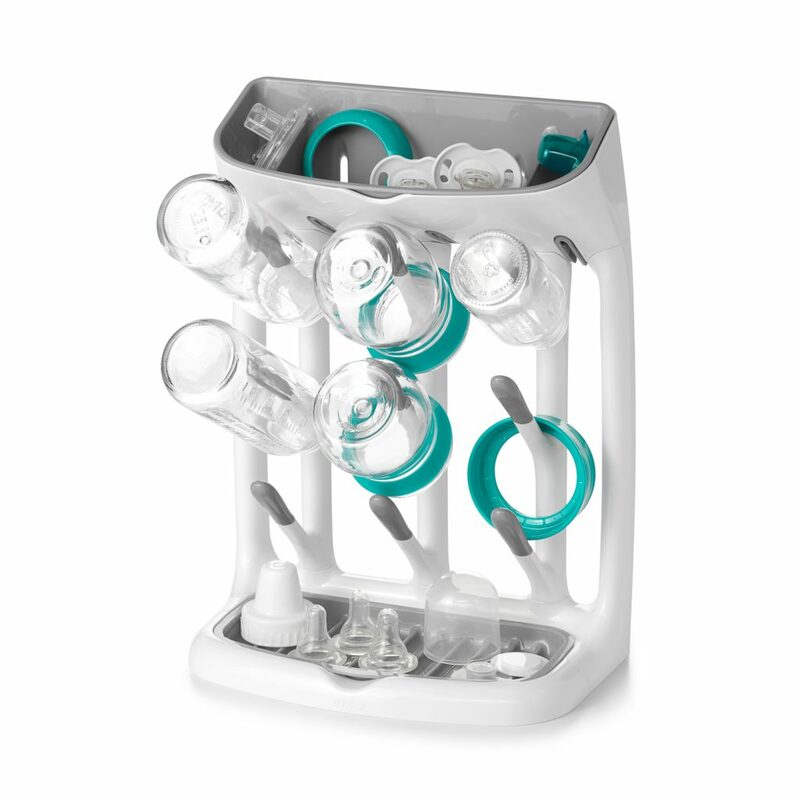 Its vertical design frees up counter space while still efficiently drying bottles and accessories. The angled pegs assure water gets out and leaves dishes moisture free. Pacifiers and small parts can conveniently dry on the top or base. Give the gift of organization and some extra space to that new mama in your life! 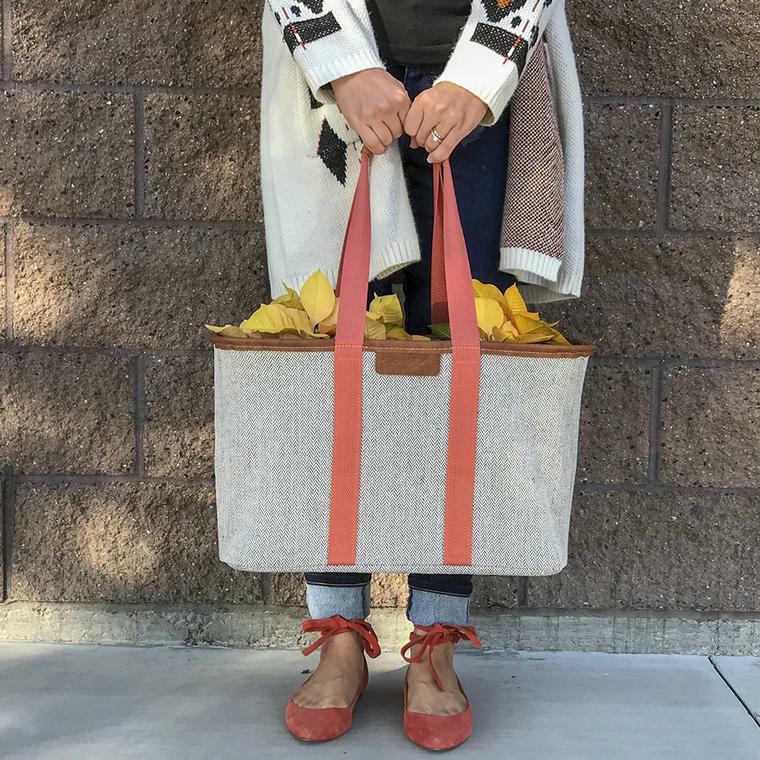 Is this SnapBasket LUXE Tote not the cutest? Clever Made Totes are designed with chic style and sturdy heavy-duty material. The canvas body and vegan leather handles gives this tote the power to haul up to 30 pounds. It is fully collapsible with the use of built-in snap hinges and includes a built-in WrapStrap for easy storage. Clever Made offers 4 modern colors to best fit the style of mama you are shopping for. This Mother’s Day I could see this Tote being the perfect foundation of an adorable gift basket. Add flowers, wine and chocolate, or even a spa day goodies to treat the mama you love best! I promise it won’t disappoint! Hosanna Revival is a beautiful company inside and out! Katie, the founder, made the first steps to now Hosanna Revival when she hand painted her personal Bible. Her goal was to personalize the precious book that was so special and significate t0 her. Today her passion has expanded to designing Bibles, journals, stickers, and more. Katie’s loving heart is to inspire women to be excited about digging into the Word! A beautiful heirloom Bible might just be what someone needs to excite and engage them into opening up their Bible and start studying. Hosanna Revival shop has a vast collection of unique hand painted products that can even be customized. 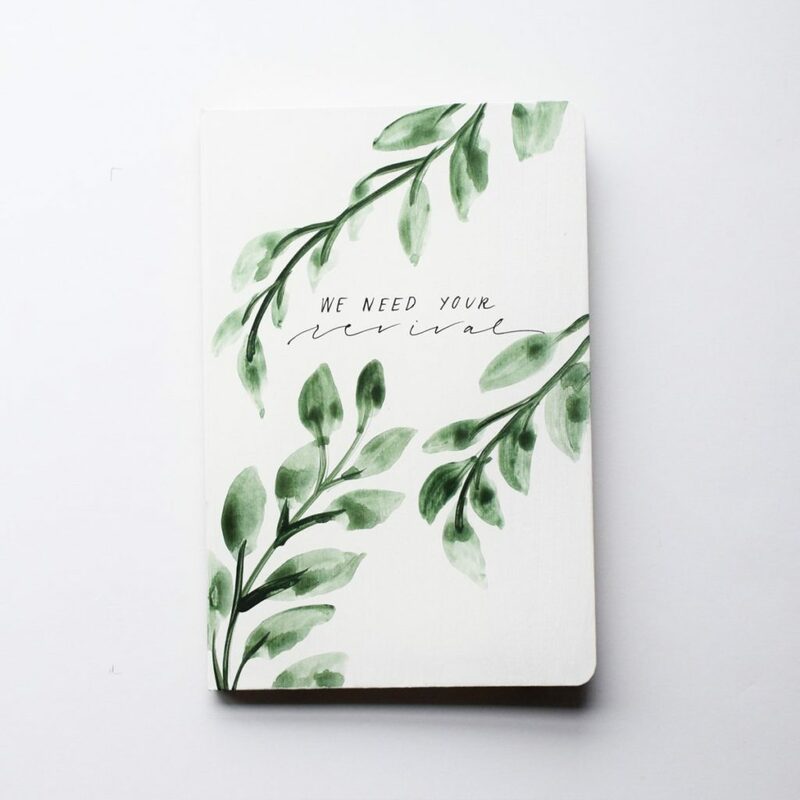 In addition, they also carry digitally printed products that are carefully designed by the Hosanna Revival team. Their new hand script tees are a perfect piece of swag for your favorite mama. At least take the time to check out Hosanna Revival’s FREE lock screen images. This season give the gift of inspiration and encouragement by gifting one of Hosanna Revival’s beautiful products. If we are being honest us mamas are a little, if not more, excited to see our little ones getting gifts too! The Elephant Organics is your one stop shop for treating newest arrivals all the way to mom. Choose from a huge collection of Mom and Me pajamas coordinating in modern patterns or vibrant colors. The Elephant Organics also offers Gift Trunks for new arrivals as well as mom and me boxes. The boxed gift set is a collection of specially selected pieces packaged beautifully. The Elephant Organics is made with high quality organic cotton and bamboo that is produced in an ethical way and all eco-friendly, leaving you feeling good about the clothing your family is wearing. Treat the whole family this Mother’s Day with The Elephant Organics. Give the gift that goes beyond Mother’s Day and lasts for months and months. With the Ellie subscription box, you can give comfy workout (or everyday wear) clothes to to a woman you know. The best part – it’s delivered right to the door of whoever you gift it to! Seriously amazing. The Ellie brand works to create clothing that is comfortable; they want to help take your workout to the next level. Having workout clothes that are comfy and cute can change your attitude and mindset, feeling good in what you’re wearing is a huge confidence booster. The subscription box is simple; just choose a collection, and wait for it to be shipped to your door. With a minimum of three items in each collection, you’ll be sporting the cutest trends. Any woman will be happy with this subscription box as a gift! What woman doesn’t want some self-care products? 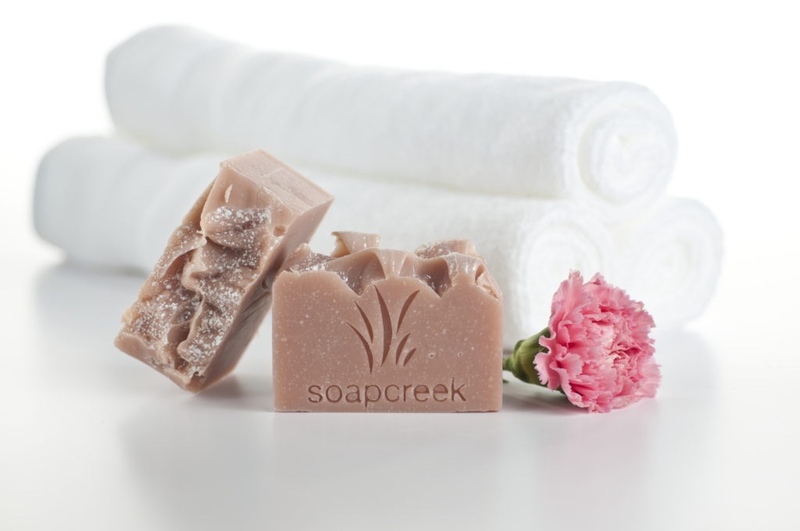 The Soapcreek Company creates handmade soap and body care products that are high quality. These artisan soaps offer amazing skin nourishing benefits all while being a beautiful work of art. With products ranging from soap, lotion, lip balm, and scrubs, all of The Soapcreek Company’s products are made from natural, sustainable ingredients that set their products apart from other brands. The Soapcreek Company encourages all customers conserve, re-use, and recycle in hopes to make the world a better place for all. 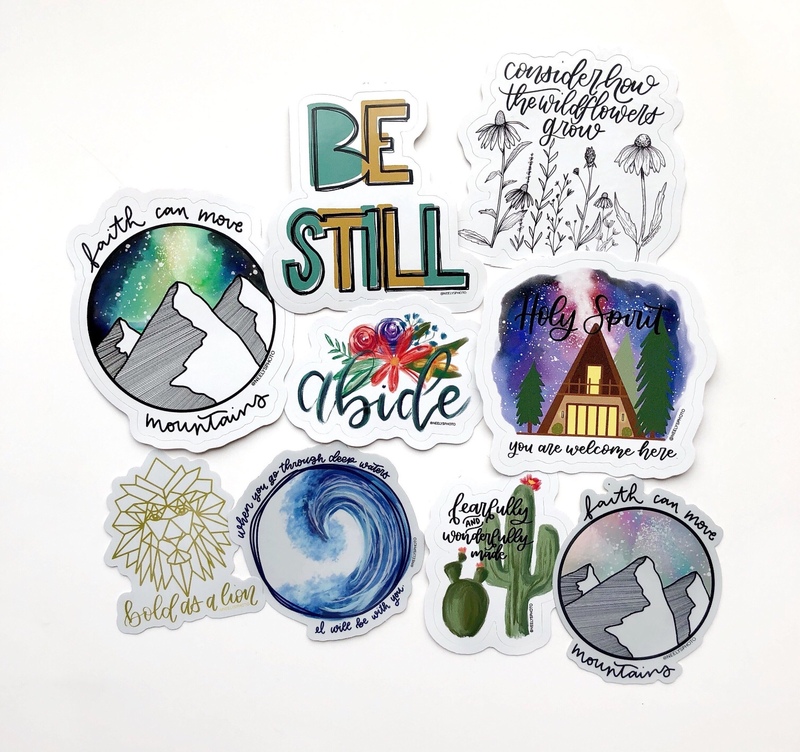 One Acre Designs is an Etsy shop that creates faith based digital prints, journals, bibles, and stickers. The hand designed products are beautifully created and are a great gift idea for anyone you many know. Hand lettering and watercolor painting really set these products apart. Help personalize someone’s home, office, laptop, water bottle, or car. Show someone how much you appreciate them by giving them a personalized gift from One Acre Designs. Known for their housewears, Zoku creates innovative, easy-to-use, well-designed products. Many of their products are full of bright, fun colors that will add a little bit of sunshine to anyones kitchen. These fun ice molds are a great addition to any house party. You and your guests can enjoy your drinks without diluting the flavor of them, The molds are easy to open and reveal a unique ice shape. These ice mold sets are great for a hostess at heart. The new Froth Control is the first automatic milk frother with a special hot chocolate function. Accommodating chocolate chips and chunks, your hot chocolate is about to be frothier than you’ve ever experienced. Having four settings to choose from and only one operating button, anyone will be able to use this machine. 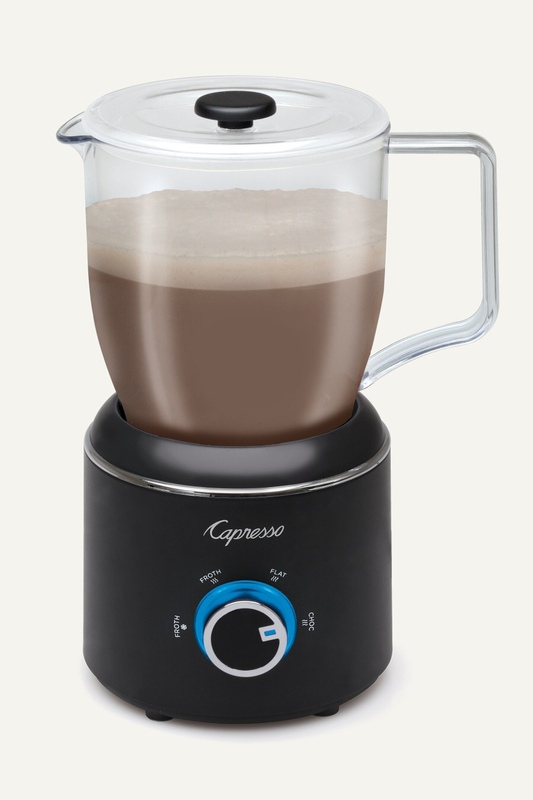 Four recipes are included when buying the Froth Control with many more at capressoblog.com. Women who like warm drinks will love this great gift. Anyone who has kids knows that when you’re on the go there are a lot of things to bring. Trips to the zoo, mall, museum, even the park involve many different baby and mom products. 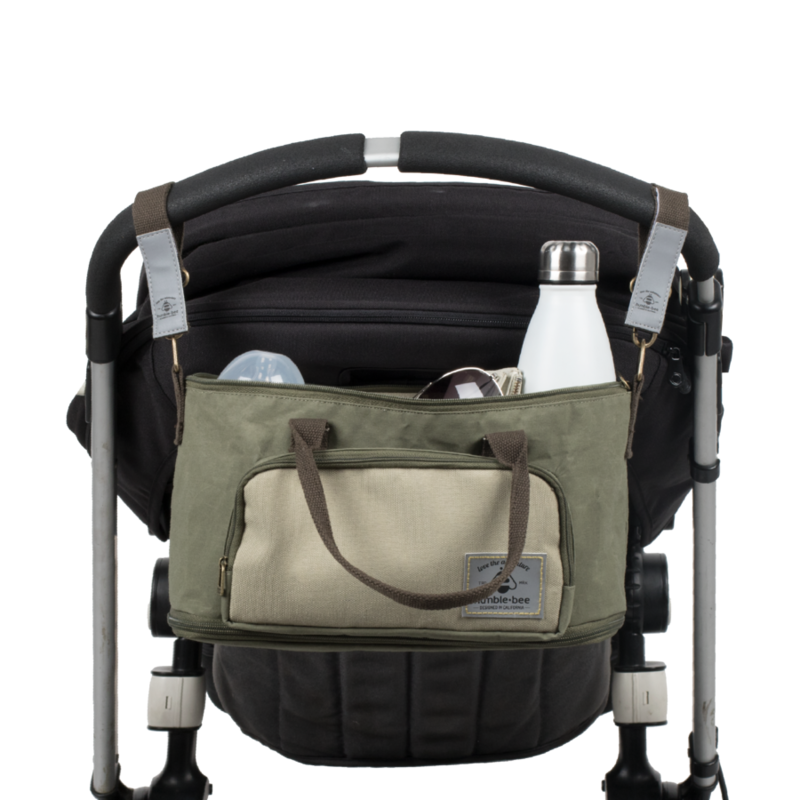 The Humble-Bee Mini Charm Stroller Organizer keeps your essentials right where you need them, when you need them. This With two detachable, reflective straps and one removable shoulder strap, this bag can also double as a purse. Machine washable, water repellant exterior, and OMG free (aka wipeable), all necessities when having kids and babies around. Any mom or soon to be mom will be grateful to have this bag on hand. We’ve all gotta cook, right? Since 1845, Fissler has given their best when it comes to the processing and finishing of metal. With constant and continual changes to their products, Fissler is able to be successful because of their enhancements and adaptations. The high-quality stainless steel brings long lasting life to these pans. This pan is unique because off the novogrill frying surface designed for fat-reduced searing with a grill affect. 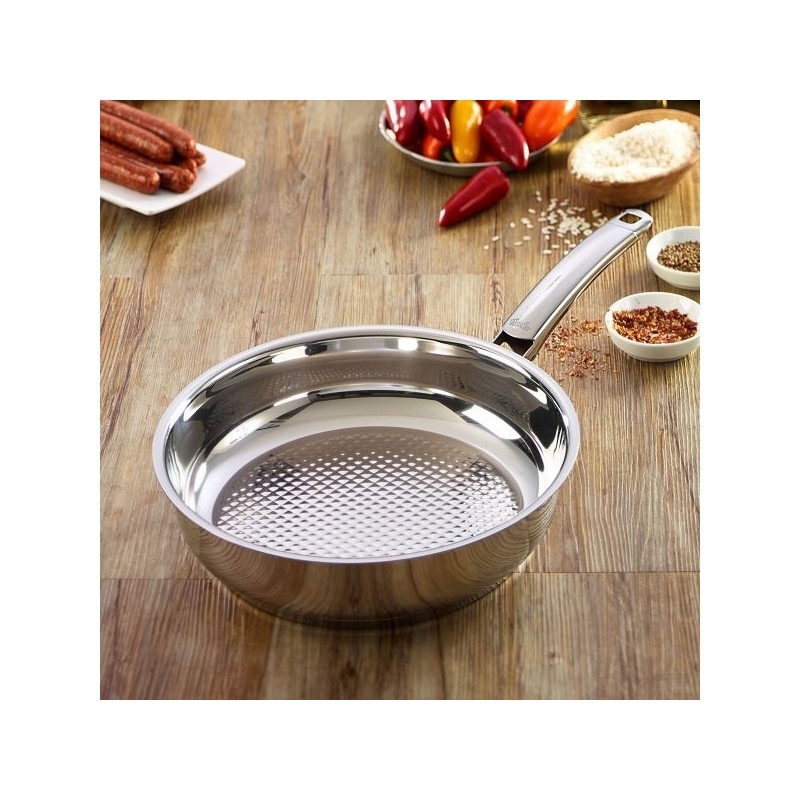 Many features come with this pan: specially shaped pouring rim, integrated measuring scale, and safety handle with a heat buffer. High-quality is all around when it comes to the Fissler brand. This specific pan – the Crispy Steelux Fry Pan – offers three different sizes; but the whole Fissler line gives endless possibilities for gift giving. Coffee is all the rage these days. 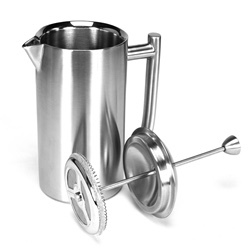 This dishwasher safe french press is the perfect gift for any coffee lover in your life. Four minutes is all it takes for delicious coffee to be served. Heat is retained four times longer than glass because of the double lined wall insulation. The French press isn’t just for coffee, brewing loose tea is also an option. You can even use the pitcher for other drinks such as water, milk, ice tea, juice, and more. Coffee lovers will be thrilled to receive this gift for Mother’s Day! Wowe Lifestyle seeks to create an eco-friendly environment inside and outside the home. These stainless steel straws will help reduce the global footprint and keep plastic straws off the ground. Although the straws are 100% dishwasher safe, a cotton straw cleaner is included when buying any pack. 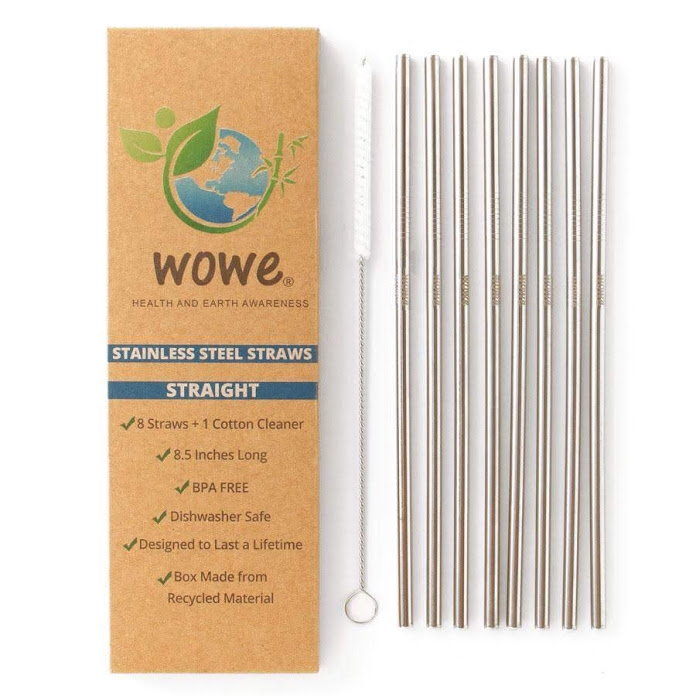 These Wowe Lifestyle stainless steel straws are designed to last a lifetime, but just in case you don’t like them, the 365-day money-back guarantee gives you assurance when giving these straws as a gift. Be sure to check out the other Wowe Lifestyle products. Prints are such an easy way to spruce up a room or home. That’s why the ArtCult Etsy shop is the perfect pace to search for a gift. For a small price, you can help any woman update a space with these gorgeous prints. Simply buy the digital download and re-print the image as much as you need. With many different options to choose from you can buy prints, gift tags, circle, square, and oval prints for necklaces, bookmarks, and more. 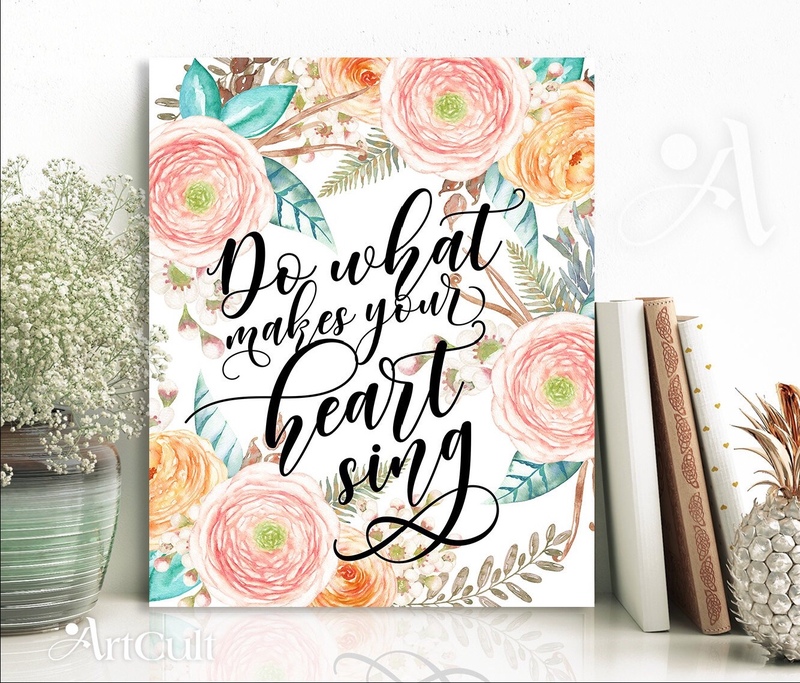 ArtCult’s printable artwork is a great gift for any woman you may know. Who doesn’t love listening to music? 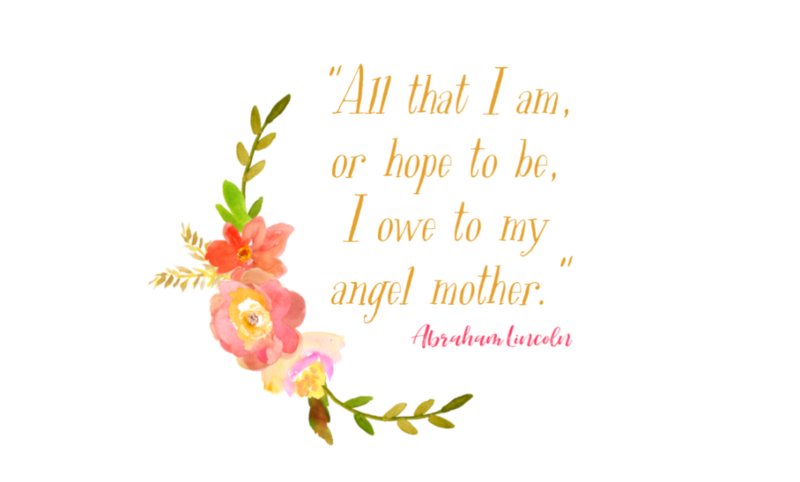 Everyone has their favorite genera, why not let the mother in your life tap into that? 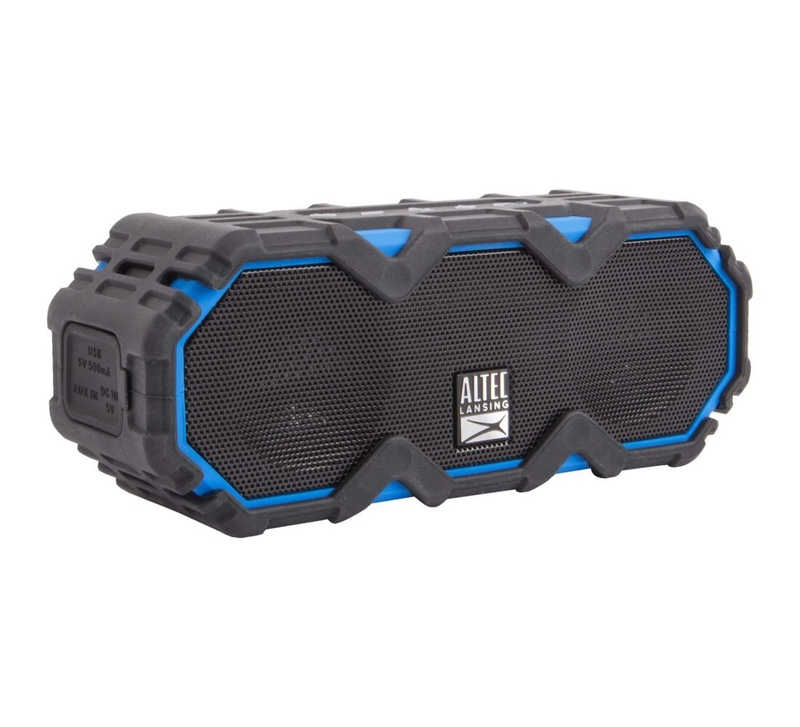 This Altec Lansing Bluetooth speaker is a durable device that allows you to bring your music anywhere. Features that are offered by thi speaker include: waterproof, shock proof, and snow proof. Really, this speaker is durably built. A long battery life of up to 16 hours gives lots of time for listening in any location. One of the coolest aspects of this speaker is that there is a built-in smart phone charger, seriously, what person couldn’t use another phone charger? The speaker has a large, 100 foot wireless range too. Silicone rings are all the rage and Groove Life has the highest quality rings at an affordable price! Groove Life is different because it is designed with patented breathable grooves. The grooves keep fresh air circulating and bad odors from bring trapped. Meaning this is one silicone ring you can keep! Groove Life has a passionate and reliable team that offer the best of customer services and warranty. They are dedicated to bringing functionality and fashion to a universal consumer, and their women’s line is something to checkout! 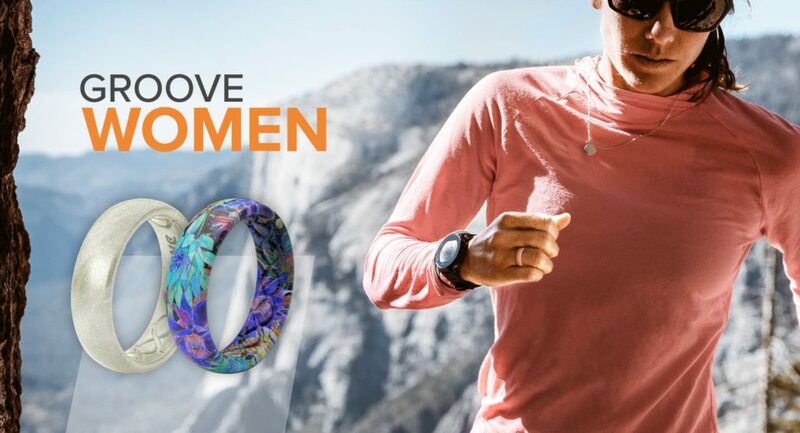 These rings are not only perfect for the extreme lifestyle but also for the messy mama, dedicated nurse, marathoner, artist, hands-on employer, and any other life adventure! Make Mother’s Day personal by customizing a Groove Life ring for that special mama in your life. The Etsy shop Down the Path Creations designs and sells beautiful, digital art work. As with most any downloadable print, you can purchase the file and print as many times as you want or need. That means you can gives these multiple times! 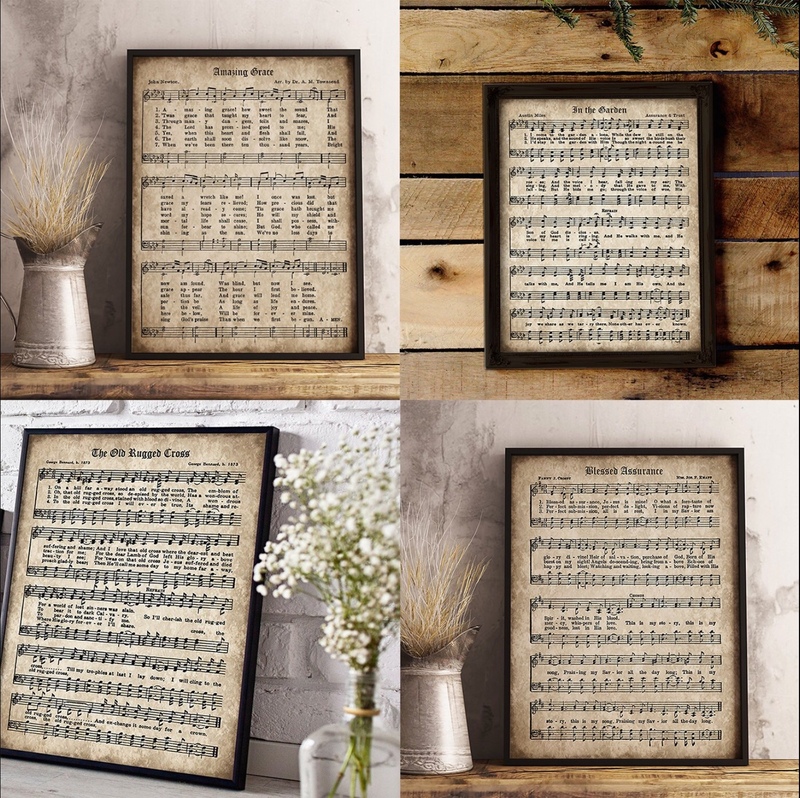 This handmade vintage sheet music set is a beautiful gift to give any mother. Songs included in the set are: In The Garden, Amazing Grace, Old Rugged Cross, Blessed Assurance, It Is Well. These 8×10 prints are perfect to hang in a home or office. Nothing is more significant than gifting that special mama with a personal piece of jewelry. Isabelle Grace Jewelry creates keepsake pieces that carry on the tradition of family. Timeless style and enduring quality is what sets this brand apart. Designers in Massachusetts hand craft and design each piece out of the best materials. Isabelle Grace personalized jewelry includes necklaces, bracelets, earrings, keepsakes, and Swarovski. 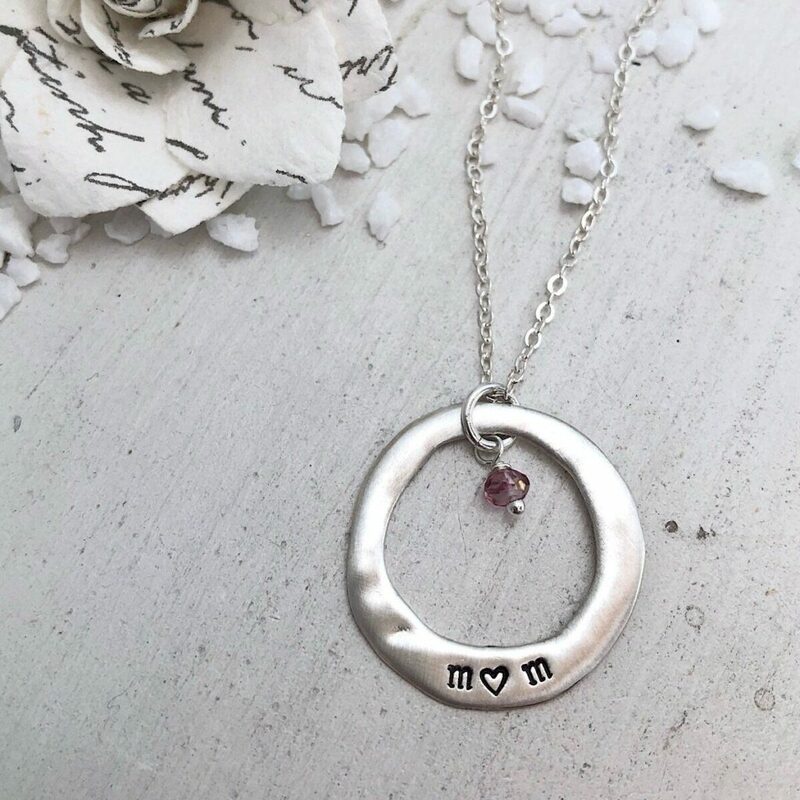 They also have a special collection specifically designed for moms; making Isabelle Grace Jewelry your one stop shop this Mother’s Day season! Every new mama worries about the health of their new baby. And every good mama knows the important signs of good health is weight gain. bbluv’s precise digital baby scale takes the wonder and worry out of baby gaining weight. 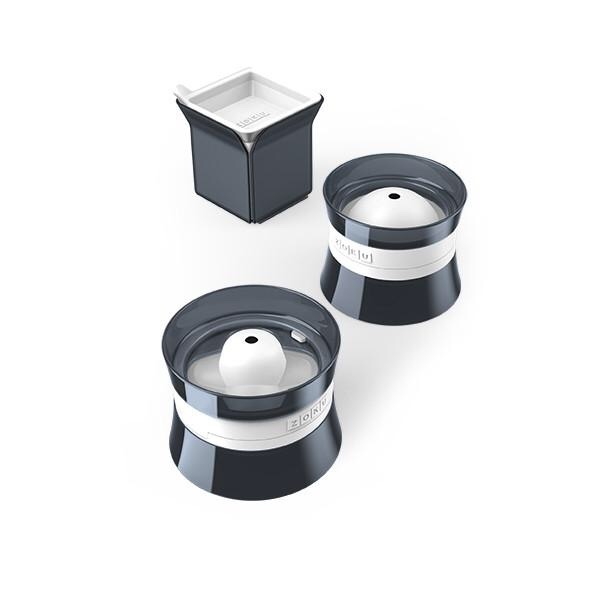 This accurate and easy to use scale has a high precision weighing sensor that can detect even the smallest of weight change. Even the difference of baby’s weight before and after nursing; knowing exactly how much has been ingested. The Large LCD display makes it easy to read baby’s weight in kilograms, pounds, or ounces. The bbluv digital scale is giving the gift of peace to your favorite new mama. Add excitement, action, and adventure to this Mother’s Day with Starlux Games. Family time is getting harder and harder to find in this busy world. Starlux Games provides families with the tools to play classic outdoor games. Each game is designed to play in groups so everyone in the family can be involved. 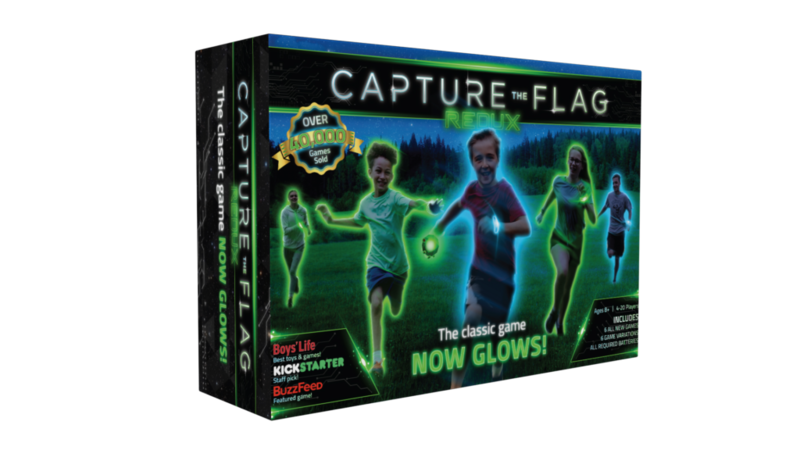 The best part is each game has a modern twist with the help of glow in the dark equipment. Starlux Games offers three different game packs that include directions for multiple ways to play in the dark! Gather your family for hours of quality fun and give the gift of togetherness this Mother’s Day!